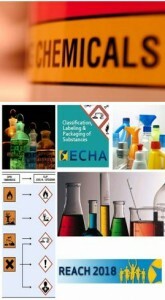 Risk assessment based on physicochemical, toxicological and ecotoxicological characteristics. Auditing specific requirements according other regulatory frameworks: USA, Canada, China, and Korea to ensure the uninterrupted trading of chemical products. Audit and Evaluation of products according to international conventions of safe transport ADR, IMDG etc.